If you love history and have a little time that you would like to devote to volunteering, consider joining the Liendo Plantation family of volunteers. Whether joining as a Docent or Special Events member you’ll meet many new friends and enjoy the benefits of being a volunteer and a supporter of historical preservation. We are deeply appreciative of our volunteer who support the work of the our full time staff with their time, energy and interest to make Liendo Plantation and its story a compelling educational experience for all who visit. 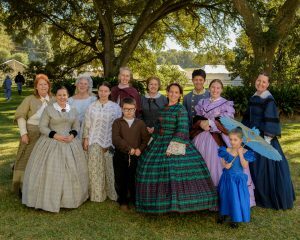 Docent – Liendo Plantation recruits volunteer docents to share the history of the house and its collection with the public. 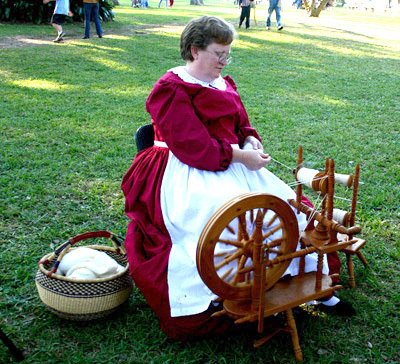 Docents use their passion for history to lead visitors on tours, to educate and entertain them. Our team of docents provide the vital link between the history of Liendo and its visitors. Docents may also volunteer to organize public programs at Liendo. Junior Docent – The Junior Docent program allows middle and high school students the opportunity to explore history through research and immersion education while assisting the members of the Liendo Plantation Docent team. These bright young students earn volunteer hours while enriching their lives with the fascinating history of Liendo Plantation. Special Events – Throughout the year, Liendo Plantation hosts special events to further the cause of keeping history alive in our community. Our special events volunteers are the foundation of these events, providing a variety of functions, both on and off site, to keep our events running. Event volunteers play an integral role in all of our events by interacting with visitors, assisting staff and providing support for event planning operations. Volunteers – For prospective volunteers who want to lend a helping hand, but don’t necessarily want a public speaking role, there are still numerous opportunities to get involved as a “behind the scenes” volunteer for Liendo Plantation. From marketing and office volunteers to garden volunteers and researchers, there are many important ways to become a part of the Liendo Team.